Zinzi is using Smore newsletters to spread the word online. Some older people find it hard to maintain social contact with friends, and the outside, and have many health problems. Older people that live alone may not report problems or symptoms because their is no one around to notice them. They may not have anyone to help them with taking their medication as it is instructed,and they do not prepare meals or eat a balanced diet meal because they can not walk or drive to the store, and then become more depressed. Older people have difficulty coping with many changes that occur with ageing, such as development of disorders and retirement, loss a loved one. Older people go on to feeling lonely and powerless, sad and lose their self-esteem. Older people worry that they will become a burden to their family and then become depressed, and may lose their permanent independence. Due to a disorder or loss of loved ones or friend. Older people have low levels of education and tend to get dangerous jobs and live in areas where pollution levels are higher and there is less healthy life choices. Older people with low education are more likely to smoke and are overweight, and avoid any exercise and unhealthy food. Some older people do not have health insurance, and have difficulty paying for health care that is not covered, which include drugs and treatable disorders that often can go untreated or at a later stage. Prevent age related changes to the muscles and bones, joints. Daily exercise increases life span makes the bones stronger and help slow the rate of bone loss. Poison is physiological relationship to the growth and nutrition of the cells of the body. Many poisons such as pollution in the air and artificial colours, polluted water and damaged fat and alcohol and caffeine. Older male excess sexual activity not without a cost, and the production of seminal fluid requires nutrients that are lacking in the diet of many older men. Many older people are not receiving the right nutrients for functioning and repair or reproduction. 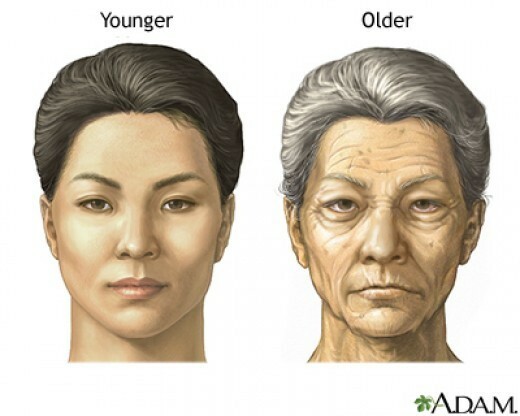 Older people find it hard to crew because they do not have their own teeth and have less saliva secreted, and the lack of saliva can retard the digestion of starches. Hormone secretion decreases when growing older, and less insulin is secreted and sweetened food should be avoided. Calmness is very important in long life and older people should consider themselves to be frail and abandon activities which keep them healthy in old age. Adults should get 7-8 hours of sleep a night and their sleep pattens may change and get less shut eye and may wake up during the night. Life changes can also help to affect sleep such as illness and moving home and death can cause stress and make it hard to sleep. Retirement can become less active and this can throw off your sleep schedule. Medication can make older people sometimes sleep or stay awake at night time.